On his first foreign trip, President Trump has met with King Salman in Saudi Arabia, the home of Mecca and Medina, the holiest shrines of Islam. He met Prime Minister Benjamin Netanyahu in Israel and visited the Western Wall, all that remains of the Jewish Temple Mount. And he then met with Pope Francis in the Vatican. As the president has reached out to adherents of the world’s interconnected monotheistic religions — Islam, Christianity and Judaism — he should also meet with His Holiness the Dalai Lama. His Holiness is the most visible and important Buddhist leader in the world and has throughout his life been a proponent of the highest ideals of Buddhism, including non-violence, compassion, equanimity and kindness. Such a meeting would assist in bringing these principles to bear on issues of world peace and nonviolence. There are an estimated 700 million Buddhists in the world today, including 300 million in China, and 6 million in Tibet. It is critical that President Trump understand how the situation in Tibet could be improved. The 2017 Freedom House report ranked Tibet as the second-worst place in the world for civil and political rights, just behind Syria. An estimated 1.2 million Tibetans have died since the Chinese occupation of Tibet and over 6,000 monasteries in Tibet have been reduced to rubble. Forced cultural assimilation of Tibetans in fueled by replacement of Tibetan-language education with Mandarin. Government-sponsored migration of large numbers of Han Chinese into the Tibet is a major component of sinicization. Lack of access has made visiting Tibet sometimes even more difficult than hermetic North Korea. Demonstrating their profound hopelessness, 149 Tibetans have self-immolated in Tibet since 2009, including four this year. The Chinese government has also installed an Orwellian electronic and human surveillance system covering every area of the Tibet Autonomous Region, which is vast, intrusive and permanent. The United States is the leading nation of the free world. It alone among all nations is best positioned to help China become a more open society, one where its leadership realizes that true stability and prosperity comes not from the barrel of a gun but through rule of law and freedom of expression. 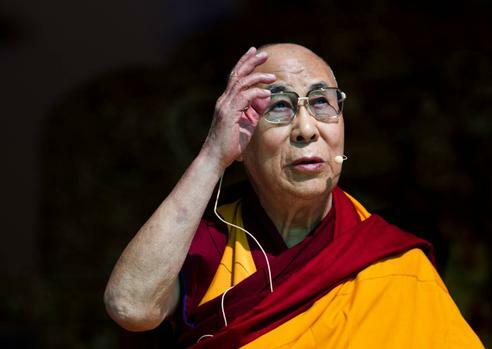 Among the many problems confronting the Chinese leadership, the Tibet issue should be relatively easier to address because of the "Middle Way" approach that has been the position of His Holiness the Dalai Lama for over three decades years and is strongly supported by the Tibetan people. While recognizing and respecting the One China policy of the U.S. government, the Middle Way envisages genuine autonomy for Tibetan people and the restoration of human rights and religious freedom for people in Tibet. It contemplates a constructive dialogue to develop an appropriate framework and solution that will work for everyone. The U.S. government has consistently supported the Middle Way that the Central Tibetan Administration, of which I am the president, has advocated for more than 30 years. This approach is supported by the Tibetan Policy Act adopted by the Congress in 2002 and has been supported by U.S. presidents ever since. Like in the case of Israel-Palestine issue, where the President Trump has showed optimism, he should use his growing relationship with Chinese President Xi Jinping to facilitate autonomy and fundamental rights for the Tibetan people consistent with both the One China policy and the Middle Way. In the meantime, it is crucial that the president appoint a Special Coordinator for Tibetan Issues at the State Department as soon as possible. The position has been vacant since the inauguration, and the person in this role has played a critical function engaging in political and humanitarian efforts. Each and every U.S. president since George H.W. Bush has met with His Holiness the Dalai Lama. Each of these presidents reported the meeting provided a fresh and unique view on political and spiritual issues that currently confront us as a global community. President Trump and His Holiness the Dalai Lama would certainly find much to discuss as we see the world torn by violence and conflict. Adding a Buddhist voice and perspective to those that President Trump undoubtedly heard this week from Christian, Muslim and Jewish friends can only be helpful and broadening. In addition, it would provide an opportunity to discuss the situation in Tibet and to revisit, revitalize and advance U.S. support for the Middle Way approach. NOTE: This above opinion piece is reprinted from The Hill, and Lobsang Sangay is the president of Central Tibetan Administration.